We have some very exciting news! On Friday 10th and Saturday 11th May we are packing up the van and heading to London!! 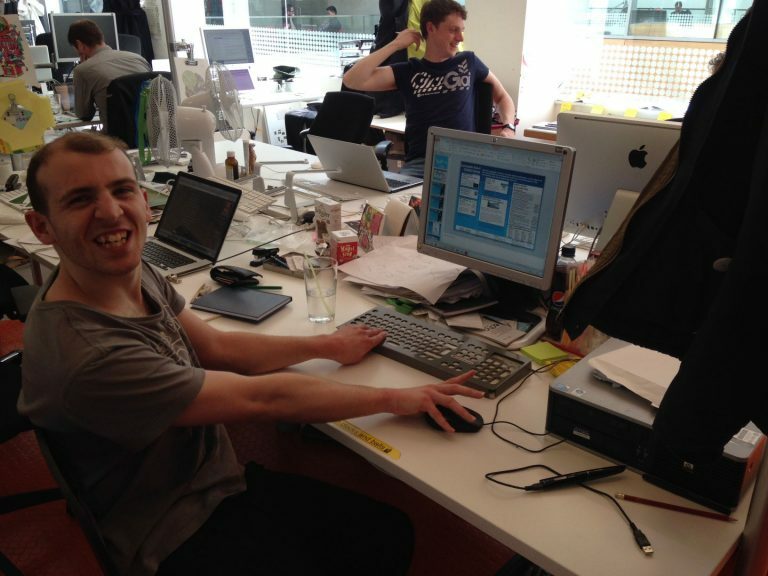 We will be packing up our gaming equipment, our assistive technology and of course our techy, gaming pros (the staff!) 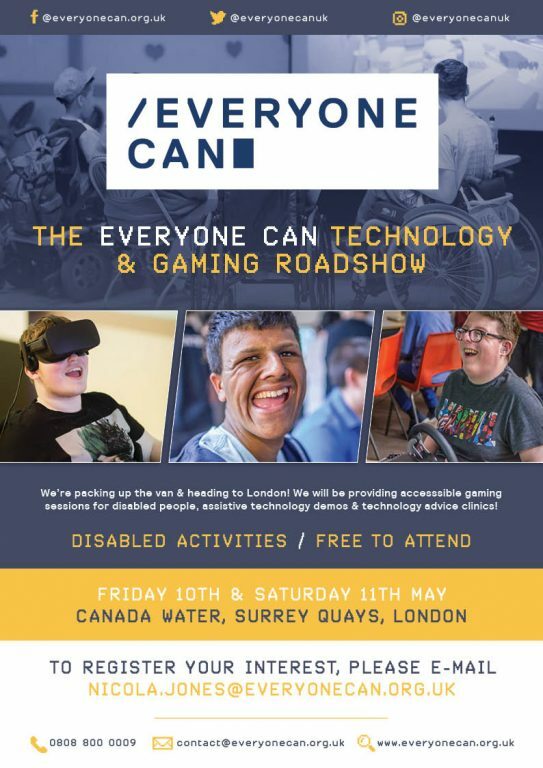 Over the two days we will deliver accessible gaming sessions, talks on assistive technology and technology advice clinics. The Friday will be open for Schools to book onto and the Saturday is open for anyone to turn up to whichever session they wish! 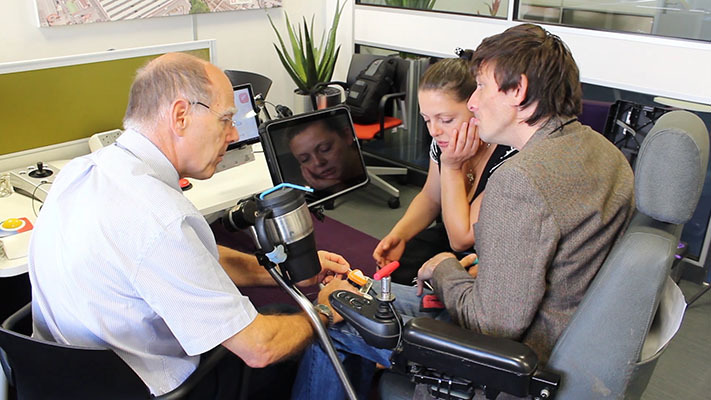 So, if your disability holds you back from doing things, come along and find out how assistive technology can help you communicate, control your environment, gain independence and have fun! 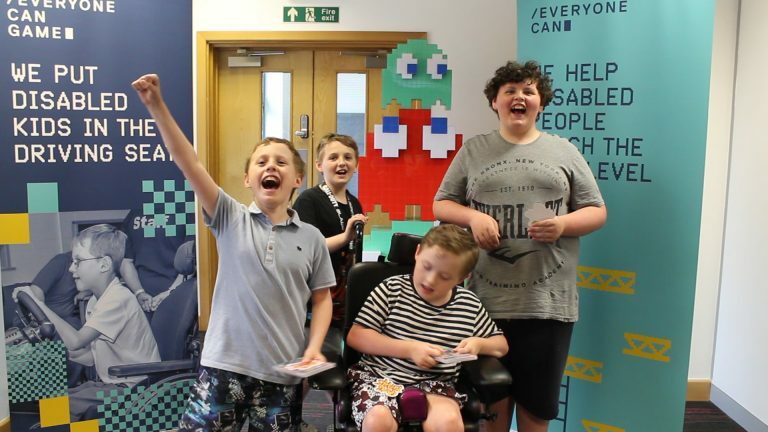 Please note our sessions are not just open to people with physical disabilities, our gaming sessions are all about gaming together in an inclusive, sociable environment so children and adults with learning disabilities please come along and join the fun! If you have any questions or to register your interest please email nicola.jones@everyonecan.org.uk so we can manage capacity levels. We can’t wait to see you there!